Norman Norell revolutionized American fashion with his understated glamour and sophisticated aesthetic. 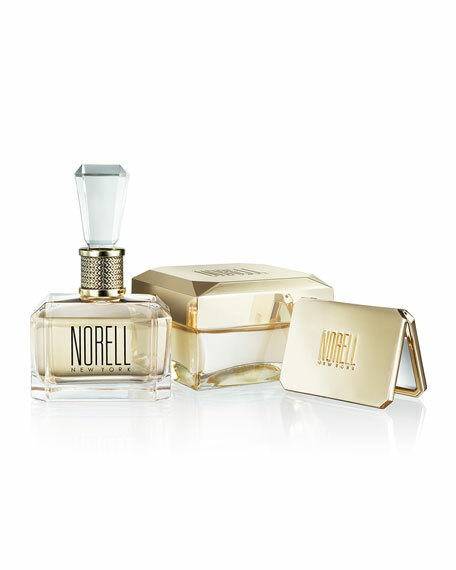 Now, his signature scent is re-imagined in Norell New Yorkbeauty and artistry for a new generation of women. This modern green floral opens with a lush radiance that exudes a playful effervescence with an airy floral bouquet and sensual finish. Eau de Parfum Spray, 3.4 fl. oz./ 100 mL. Body Cream, 6.7 oz./ 189g.